29/01/15 -- Soycomplex: Beans closed a little lower. Weekly export sales of 888,200 MT for 2014/15 were up noticeably from the previous week and defied expectations for a wholesale switch in demand to South America. There was also a sale of 20,800 MT for 2015/16. Trade expectations were for sales of only around 300-400 TMT. Actual shipments were robust again at 1,629,600 MT. Total commitments are now 94% of the USDA total for the season versus 79% typically at this time. Meal sales of 296,500 MT for 2014/15 were also strong. The Philippines were said to have bought 80-85,000 MT of US meal for May-July shipment, although that is not yet confirmed. Agroconsult trimmed their Brazilian production forecast to 94 MMT from 95 MMT previously on dryness in central areas. That's still easily a record volume though. MDA CropCast raised both their Brazilian and Argentine soybean production estimates a little. They now go for 93.49 MMT and 55.5 MMT respectively. That's a 0.5 MMT increase in Argentina due to improved rains in the south. The Argentine Ag Ministry says that growers there have only sold 77.65% of their 2013/14 soybean crop and are 5.71% done on new crop. The Buenos Aires Grain Exchange said that Argentine farmers had now planted 20.2 million ha of the anticipated final area of 20.4 million. Mar 15 Soybeans closed at $9.68 1/4, down 2 cents; May 15 Soybeans closed at $9.74 3/4, down 2 1/2 cents; Mar 15 Soybean Meal closed at $337.90, up $0.50; Mar 15 Soybean Oil closed at 29.54, down 80 points. Corn: The corn market closed a little easier, after trading in a fairly narrow range. Weekly export sales of just over 1 MMT were in line with trade forecasts. The US now has 71% of the USDA's corn export target for the season on the books versus 62% typically at this time. Exporters also sold 231,900 MT of sorghum, continuing with the recent theme. Sorghum shipments this week were 300,700 MT with the vast majority (289,500 MT) going to China. On top of that the USDA also reported sales of 116,000 MT of sorghum sold to unknown, split 58,000 MT for 2014/15 shipment and 58,000 MT for 2015/16 shipment, under the daily reporting system. US sorghum sales are already 100% of the USDA forecast for the season. MDA CropCast cut their outlook on Brazil's corn crop by 0.6 MMT to 76.2 MMT due to acreage reductions. They went unchanged on Argentina at 21.7 MMT. The strong dollar remains a problem for US corn exports. Egypt and Spain were said to have bought Ukraine corn yesterday for March shipment. South Korea's KOCOPIA bought 55,000 MT of corn of US, South America, or Black Sea origin for May shipment. South Korea's NOFI bought 225,000 MT of optional origin corn for July/August shipment. The Argentine Ag Ministry estimated that farmers there have almost 98% of their old crop corn sold, along with nearly 23% of their new crop. The latter figure is well ahead of only 7.69% a year ago. The Rosario Grain Exchange said that 80% of the corn in their area is rated very good to excellent, and the remaining 20% is good. The Buenos Aires Grain Exchange said that Argentine corn planting is 95% complete. Mar 15 Corn closed at $3.71 1/2, down 1 3/4 cents; May 15 Corn closed at $3.80, down 1 1/2 cents. Wheat: The wheat market managed a rare higher close, even if it was far from convincing. The best thing to come out of the session was maybe to see support at $5/bushel for Chicago wheat hold. That was helped by weekly export sales coming in at 544,400 MT, which was better than modest expectations. Saudi Arabia are tendering for 660,000 MT of optional origin wheat. It's possible that the US might win a share of that business, although the competition will be tough. Jordan bought 100,000 MT of wheat of unknown origin. Egypt could be back in the market next week it is thought. South Korea's KFA seek 30,000 MT of feed wheat for April shipment. 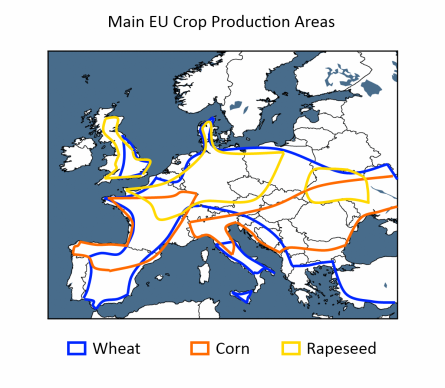 Tunisia seeks 117,000 MT of wheat and 50,000 MT of barley, both of optional origin. Nicaragua were said to have bought 30,000 MT of Russian wheat. India are said to be pondering selling 0.5-1.0 MMT of their surplus wheat stocks onto the market, although they might not like the price. On the weather front, US Southern Plains winter wheat is expected to see good moisture this weekend. The Ukraine Ministry say that 82% of winter wheat there is in good to satisfactory condition. Which means that 18% of the crop is in poor shape. The Argentine Ag Ministry said that farmers there still had almost 18% of their old crop 2013/14 wheat to sell, even though the new crop harvest is now over. Strangely then, they estimate that new crop wheat sales are at 48.63% sold versus 28.62% a year ago. Kazakhstan's final official numbers put their 2014 grain crop at 17.2 MMT versus the 2013 final grain crop of 18.2 MMT. Mar 15 CBOT Wheat closed at $5.07 3/4, up 2 1/2 cents; Mar 15 KCBT Wheat closed at $5.44, up 8 1/4 cents; Mar 15 MGEX Wheat closed at $5.59 1/4, up 4 1/4 cents. 29/01/15 -- EU grains closed mostly higher in what I guess you could call a correction or consolidation from yesterday's thrashing. 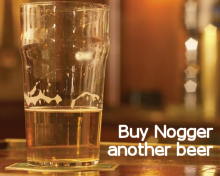 It would be a brave man who'd say that they market appears to have established a bottom though. At the finish, Mar 15 London wheat was up GBP1.00/tonne to GBP123.25/tonne; Mar 15 Paris wheat was EUR0.25/tonne higher at EUR197.75/tonne; Mar 15 Paris corn was EUR0.50/tonne firmer at EUR153.00/tonne; Feb 15 Paris rapeseed was up EUR2.50/tonne to EUR341.50/tonne. The latest slump in prices has at least flushed out a few buyers. Saudi Arabia are tendering for 660,000 MT of 12.5% hard milling wheat for Apr/May shipment, and Jordan bought 100,000 MT of hard wheat of optional origin. There are other tenders around from various North African and Middle Eastern buyers too. Egypt remain out of the market though. This may be because of some new rules on moisture requirements due from GASC are due to be set next week, I hear. Also due next week is a decision from India whether to release 0.5-1.0 MMT of surplus wheat stocks onto the global market. The Indian government were said to hold 25.1 MMT of wheat stocks as at Jan 1, which is far more than the required minimum buffer stock of 11.2 MMT. The only problem is that the government will be making a loss if they want to offload some of this excess onto the market now. The Indian 2015 harvest is only a few months away. At home, Defra increased their forecast for Human and Industrial wheat usage in the UK this season by 182,000 MT to a record 7.99 MMT, which is up 7.7% on last year. Increased demand from the bioethanol industry is what they are forecasting, despite some questioning the current viability of the industry given the acute weakness in the global oil and ethanol markets. They trimmed a bit off the UK's 2014/15 exportable surplus, but at 3.46 MMT this still represents the largest since 2008/09. In addition they raised their forecast for UK corn imports by 231,000 MT to 1.36 MMT. The Russian government continue to have little success in purchasing grain for their intervention fund, they only managed to procure 5 TMT yesterday, taking the total bought so far to just 340 TMT. The complicated minutiae of the agreement between the Ukraine government and traders on exports has emerged. There's to be a Jan/Jun limit of 4.6 MMT on wheat exports, split 1.2 MMT milling wheat and 3.4 MMT feed wheat. The cap for the season for all wheat is 12.8 MMT. There's also a tight 600 TMT Jan/Jun limit on barley exports, and an overall season cap of 4.2 MMT. Ukraine has currently shipped 8.6 MMT of wheat and 3.7 MMT of barley this season. 28/01/15 -- Soycomplex: Beans closed lower, and soyoil tumbled to its lowest levels since March 2009 on news that the EPA had agreed to allow Argentine soyoil to qualify for the US biofuel credit program. The US National Biodiesel Board (NBB) said that this move will open the floodgates for South American biofuel manufacturers. Meal actually closed a little bit higher, I guess the reasoning behind that is if US crushers see reduced demand for oil then there will be less meal produced. 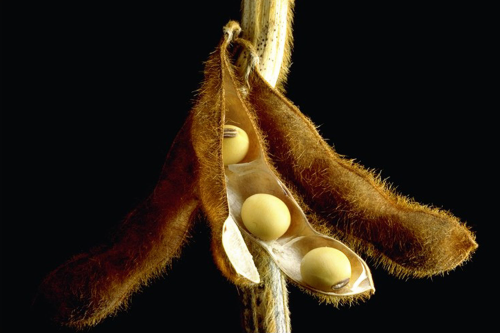 Oil World were said to have estimated this year's Brazilian soybean crop at 89-93 MMT. Most other analysts are in the 93-95 MMT range. Heavy January rainfall in Argentina is seen boosting soybean production there. Weather conditions are remarkably similar this season to the previous record production year of 2009/10, said Martell Crop Projections. "All 3 leading soybean provinces Cordoba, Buenos Aires and Santa Fe have received above normal rainfall this month, similar to January 2010. Strong cooling and somewhat drier weather is predicted to close out the month, a favourable forecast for developing soybeans, as field moisture is abundant from previous heavy rainfall," they said. Trade estimates for tomorrow's weekly export sales report are expected to show a drop off in demand for US beans and only total around 300-400 TMT. Mar 15 Soybeans closed at $9.70 1/4, down 3 1/2 cents; May 15 Soybeans closed at $9.77 1/4, down 4 cents; Mar 15 Soybean Meal closed at $337.40, up $0.80; Mar 15 Soybean Oil closed at 30.34, down 83 points. Corn: The corn market closed with some hefty losses. The news regarding the EPA decision to allow Argentine biodiesel to be eligible for entry to the US biofuel credit program was seen as bearish for demand for US corn. "The market expects Argentine processors to export an additional 10 – 20,000 MT of biodiesel a month April forward. The volume doesn’t seem significant enough to have any nearby pressure to the market. However it does add a competitor to the domestic market and sets precedent for further imports," said Benson Quinn. The US Energy Dept reported US ethanol production at 979,000 barrels/day this past week, up 1,000 bpd from a week ago. Ethanol stocks rose to a two year high. WTI crude closed below $45/barrel. Ukraine corn was said to have traded at $173/tonne FOB, down $2/tonne from trade reported yesterday, and is taking business from US origin corn into Asia. Trade estimates for tomorrow's weekly export sales report for corn are around the 1 MMT mark. Mar 15 Corn closed at $3.73 1/4, down 8 cents; May 15 Corn closed at $3.81 1/2, down 8 1/4 cents. 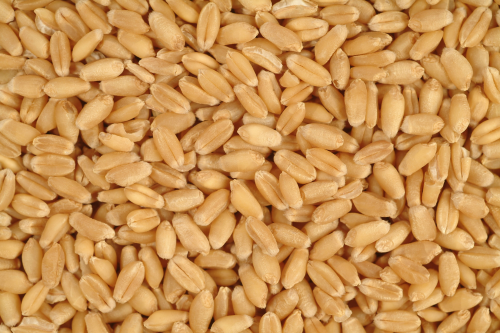 Wheat: The wheat market closed with double digit losses. Chicago wheat has now closed lower for 15 of the last 16 trading sessions, and on the other occasion it was only unchanged! The Chicago market now seems to be lining up to test the $5/bushel mark. We haven't seen a front month trade that low since early October. Sharp declines in EU wheat prices today added to the bearish tone for US wheat that is already losing market share to Europe. The USDA attaché in Argentina estimated the country's recently harvested wheat crop at 12.5 MMT versus the official USDA estimate of 12.0 MMT. They will be taking business of US wheat into Brazil this year. Taiwan are tendering for 86,280 MT of US wheat for March–April shipment. Other than that most of the international tenders kicking around are likely to be filled by other origins. Trade estimates for tomorrow's weekly export sales are a modest 300-450 TMT. Mar 15 CBOT Wheat closed at $5.05 1/4, down 13 3/4 cents; Mar 15 KCBT Wheat closed at $5.35 3/4, down 14 1/2 cents; Mar 15 MGEX Wheat closed at $5.55, down 11 1/2 cents. 28/01/15 -- EU grains closed sharply lower, crashing below support levels and breaking out of the sideways range that had held in place for most of the month. At the close, Mar 15 London wheat was GBP3.05/tonne lower at GBP122.25/tonne, Mar 15 Paris wheat was EUR5.75/tonne easier at EUR187.50/tonne, Mar 15 Paris corn was down EUR2.50/tonne at EUR152.50/tonne and Feb 15 Paris rapeseed fell EUR7.25/tonne at EUR339.00/tonne. This was the lowest close for Mar 15 and the more active May 15 London wheat since Nov 7. 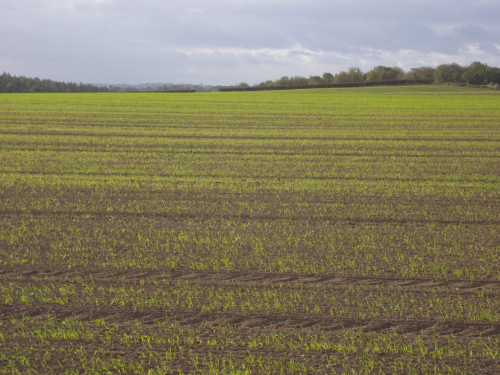 "The ease at which May 15 wheat has gone below GBP130 this week demonstrates the sheer lack of technical support in grain markets at present," said the HGCA's Jack Watts. There wasn't really anything particularly bearish today, so it is disconcerting to end the day with losses of this magnitude. US wheat futures offered no support whatsoever, closing with double digit losses. "The technical structure of the wheat markets look absolutely awful. New lows on a daily basis add to the defensive tone," said Benson Quinn. Russia's new export duty kicks in at the weekend, and one or two offers of Russian 12.5% milling wheat for Feb shipment are now being seen in the market. These are said to be at reasonably competitive levels despite the minimum EUR35/tonne tariff. Rusagrotrans said that Russia would export around 28 MMT of grains this season, which is less than the 31-32 MMT that they originally forecast, directly due to the introduction of the new duty. That however means that Russian grain ending stocks at end of 2014/15 might hit a record 18 MMT, they said. The Russian PM said that loans would be made available to farmers to fund their spring planting programme at a preferential 10-12% interest rate. Ukraine said that 18% of it's winter grains are in a weak/thinned condition, unchanged from a month ago. UAE bought 40,000 MT of Australian/Canadian wheat in a tender. Lebanon are shopping for 30,000 MT of milling wheat for March shipment. Libya is tendering for 50,000 MT of milling wheat. Iran is set to import 25,000 MT of Turkish durum wheat, according to media reports. 27/01/15 -- Soycomplex: Beans closed lower in "Turnaround Tuesday" style. Dr Cordonnier reported the first new crop boat of the season loading at Brazil's Paranagua port, picking up 61,700 MT of soybeans for Thailand. He cut his forecast for Brazil's 2014/15 crop by 0.5 MMT to 93 MMT (although still a record), but raised the outlook on Argentina by 1 MMT to a record 56 MMT. Mato Grosso farmers are 45% sold on new crop beans versus 55% this time last year, he said. Nationally they are 31% sold versus 43% a year ago. Early soybean yields so far are averaging a respectable 52 sacks/ha, which is the equivalent of 45.2 bu/acre. Oil World are in the same ballpark as Dr Cordonnier, estimating the Brazilian crop at 93 MMT and output in Argentina at 54.5 MMT. The USDA announced another Chinese cancellation (120 TMT) of US soybeans, but also confirmed 111 TMT sold to unknown under the daily reporting system. The Congressional Budgetary Office forecast US 2015 soybean plantings at 86 million acres, a record area and up 2.3 million, or 2.75%, from last year. Yields however are not estimated to be as good as they were in 2014, putting production at 3.829 billion bushels, down 140 million, or 3.5%, on last year. Mar 15 Soybeans closed at $9.73 3/4, down 9 3/4 cents; May 15 Soybeans closed at $9.81 1/4, down 9 cents; Mar 15 Soybean Meal closed at $336.60, down $2.30; Mar 15 Soybean Oil closed at 31.17, up 9 points. Corn: The corn market closed around 2-3 cents lower. The Congressional Budgetary Office forecast US 2015 corn plantings at 89 million acres versus 90.6 million a year ago. They see production at 13.5 billion bushels, down nearly 5% from 14.2 billion in 2014. Dr Cordonnier was unchanged on both his Brazilian and Argentine corn crop estimates at 74 MMT and 21 MMT respectively. South Korea's FLC bought 57,000 MT of optional origin corn for May shipment. South Korea also bought 110,000 MT of US, South American, EU corn for July shipment. CEC estimated South Africa’s 2015 corn area at 2.656 million ha, down 1.2% from a year ago. Ukraine corn continues to undercut US origin material, helped by their weak domestic currency, said Benson Quinn. 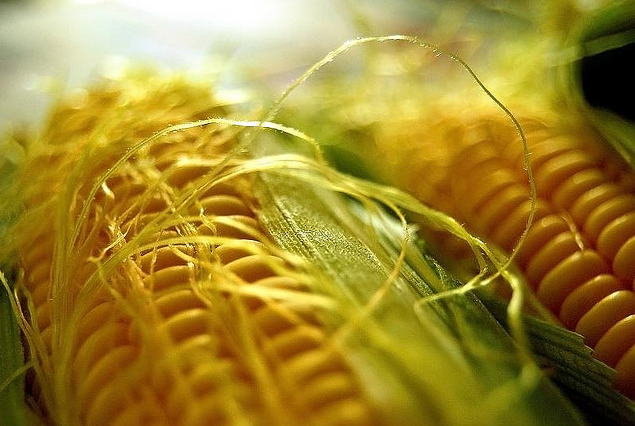 Ukraine have now exported 8.63 MMT of corn so far this season, and are expected to ship out 16.5 MMT by the end of June, according to the USDA. The Ukraine Ag Ministry estimate the country's exportable surplus at more than 20 MMT this season. It remains to be seen how "safe" a seller Ukraine are regarded now that the rebels have reached as far as the port of Mariupol, which ships around 1 MMT of grains annually. The US Energy Dept will release the latest US ethanol production numbers tomorrow, last week's output was 979,000 barrels/day. The trade is expecting a small drop in output this time round. Mar 15 Corn closed at $3.81 1/4, down 2 3/4 cents; May 15 Corn closed at $3.89 3/4, down 2 3/4 cents. Wheat: The wheat market closed lower across the three exchanges once more. Wheat can't seem to buy a rally at the moment. Chicago wheat hasn't closed higher for 15 trading sessions. The US weather outlook for the main bread wheat states is beneficial. "The 7-day forecast calls for heavy rain, well above normal, in a wide swath of the United States. Kansas wheat farms are expecting at least 0.50 inch of rainfall, while Oklahoma would receive 1-1.5 inch of rain. Texas has a very wet forecast the expected rainfall from 1 to 1.75 inches. Soaking rains would extend from the Southern Great Plains through the Mid South and northeast to New England," said Martell Crop Projections. Texas wheat is currently rated 42% good to excellent (down 1% from a week ago) and 17% poor to very poor (up 1% from a week ago). Russian winter wheat is in trouble, with 40% of the crop in the Volgograd region and 32% of the crop in Rostov said to have failed. Ukraine announced that they are to limit wheat exports to 1.3 MMT in the Jan/Jun period, including a maximum of 900 TMT in Q1 of 2015. Around 500 TMT of that has probably already been shipped. Jordan bought 100,000 MT of feed barley in a tender, said to be most likely from Romania, for June-July shipment. Bahrain are tendering for around 30,000 MT of wheat for March/April shipment. Mar 15 CBOT Wheat closed at $5.19, down 1 1/2 cents; Mar 15 KCBT Wheat closed at $5.50 1/4, down 4 1/4 cents; Mar 15 MGEX Wheat closed at $5.66 1/2, down 2 1/2 cents. 27/01/15 -- EU grains traded lower, with Paris wheat trundling along towards the middle of the recent trading range. Front month Paris wheat hasn't closed outside the EUR190-200/tonne range so far this year, whilst London wheat has been stuck in the GBP125-135/tonne for the same period - although it wasn't too far from falling below that level today. At the close Mar 15 London wheat was down GBP2.00/tonne at GBP125.30/tonne, Mar 15 Paris wheat was EUR3.25/tonne easier at EUR193.25/tonne, Mar 15 Paris corn was down EUR2.50/tonne at EUR155.00/tonne and soon to expire Feb 15 Paris rapeseed slumped EUR6.50/tonne lower to EUR346.25/tonne. The market either doesn't seem to know, or care, that winter crop conditions in Russia are far from ideal after autumn sown wheat went into dry soil, followed by an early cold snap that stopped growth. Of the 1.3 million hectares of winter grains planted in the Volgograd region, around 40% is said to have failed to germinate, or have succumbed to winterkill after a cold and snowless winter. Of the approximate 780,000 ha that has made it through winter so far, less than a third is rated to be in "good" condition. In Rostov meanwhile some 700,000 ha, or 32% of the area planted with winter grains is said to have suffered a similar plight. Well, they can just replant those lost acres in the spring, right? Sure if you've got the money, if not then short-term borrowing rates are running at 30-32%, if you can find a bank that's willing to lend at all. Meanwhile, S&P cut their assessment of Russia's sovereign credit rating to "junk" status yesterday night, sending the rouble lurching to fresh all-time lows against the dollar and euro. The Russian government were back in the market looking to buy grain for their intervention fund today. They managed to pick up a princely 12 TMT, taking the total volume purchased so far to 335 TMT out of an intended target of 2.5-3.0 MMT. Russian growers prefer to hang onto their grain as a hedge against spiralling inflation and the sinking rouble, rather than sell it to the government. In other news, Reuters are reporting that the details of the recent accord between the Ukraine Ministry and the country's grain exporters are that only 900 TMT of wheat can be shipped out in Q1 of 2015, followed by a maximum of 400 TMT in Q2. The Ukraine Ministry said that the country had already shipped 21.2 MMT of grains so far this season, of which 8.57 MMT was wheat. Wheat exports as of Dec 31 were around 8 MMT, suggesting that more than half of the Q1 quota has already been shipped this month. The Ukraine Food Minister said only last week that there would be no limit set on wheat exports this year. 26/01/15 -- Soycomplex: Beans closed higher on talk of developing dryness issues in central Brazil. "Drought has been ongoing for at least a month in the Brazil tropics. Rainfall this month to date has been severely deficient, 100-200 mm below average in Mato Grosso's primary soybean areas. 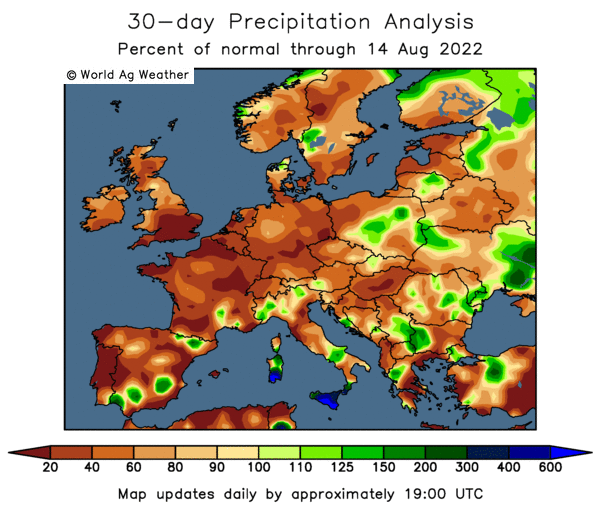 It requires very heavy rainfall indeed to successfully grow soybeans in the tropics, due to the incessant heat and high evaporation," said Martell Crop Projections. The forecast for the week ahead is hot and dry in Mato Grosso, which is Brazil's leading soybean producing state, although southern states have a more favourable outlook. Weekly export inspections of over 1.5 MMT were strong once more, taking the marketing year to date total to 74% of the USDA's target for the season versus 57% typically for this time. Mar 15 Soybeans closed at $9.83 1/2, up 10 3/4 cents; May 15 Soybeans closed at $9.90 1/4, up 10 3/4 cents; Mar 15 Soybean Meal closed at $338.90, up $7.40; Mar 15 Soybean Oil closed at 31.08, down 52 points. Corn: The corn market closed around 2-3 cents easier. Increased tensions between Russia and the West didn't seem to grab a lot of attention. Neither did the weekend Greek election results. Despite the fighting in the east of the country, Ukraine seaports shipped 529.9 TMT of grains in the past week, and 86% of that total was corn according to APK Inform. Russia has shipped 22 MMT of grains so far this season, but only 1.2 MMT of that total is corn, according to their Ag Ministry. Weekly US export inspections of 886,825 MT were towards the top end of trade estimates. Sorghum shipments also remain very strong, and are now more than 200% up on a year ago as China continues to be a featured heavy buyer of US origin material in preference to corn. Margins in the US ethanol sector are said to be in decline, faced by falling DDGS and ethanol prices. Fund selling in corn today was estimated at a net 3,000 contracts. Mar 15 Corn closed at $3.84, down 2 3/4 cents; May 15 Corn closed at $3.92 1/2, down 2 3/4 cents. Wheat: It doesn't seem to take much for the US wheat market to close lower these days, and so it proved again today. Dollar strength is a continuous hindrance to US export hopes. Weekly export sales of only 263,035 MT were a disappointment, not for the first time this season. The Canadian Farm Ministry estimated wheat production there this year at 30 MMT, up 2.5% on last year. They see plantings rising 4% to 10.11 million hectares. Despite the rise in output 2015/16 ending stocks will fall 22.6% to 4.8 MMT, which is said to be the second lowest total in the past 25 years. Ukraine seaports only exported 74.2 TMT of wheat in the past week, according to APK Inform, as they now major on corn. The Ukraine Grain Association contradicted the Food Minister and said that exporters and the Ag Ministry are working on the fine print of their "Memorandum of Understanding" on wheat exports, and expect that to be made public soon. 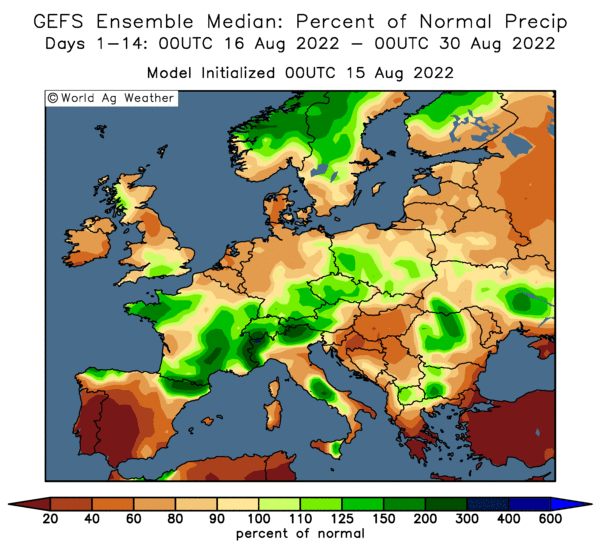 MARS said that winter wheat across large parts of Europe is far from fully hardened. Mar 15 CBOT Wheat closed at $5.20 1/2, down 9 1/2 cents; Mar 15 KCBT Wheat closed at $5.54 1/2, down 9 1/2 cents; Mar 15 MGEX Wheat closed at $5.69, down 7 cents. 26/01/15 -- EU grains closed lower. The euro was little changed despite the results of the weekend elections in Greece. Perhaps that had done all its falling last week? 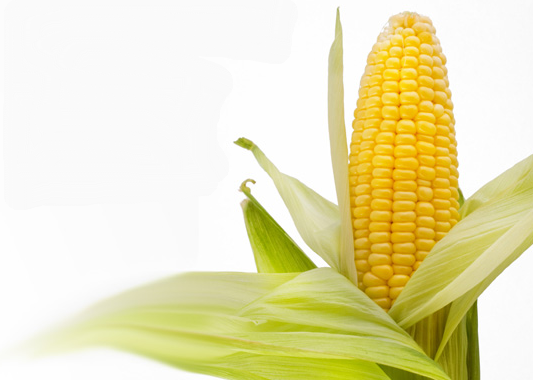 At the finish, Mar 15 London wheat was down GBP1.00/tonne to GBP127.30/tonne; Mar 15 Paris wheat was EUR2.00/tonne easier at EUR196.50/tonne; Mar 15 Paris corn was EUR1.75/tonne lower at EUR157.50/tonne; Feb 15 Paris rapeseed was down EUR3.75/tonne to EUR352.75/tonne. The EU Commission's MARS unit released their latest winter crop condition report today, and sounded a few alarm bells for production prospects later in the year. "Our latest frost-kill model simulations show no or only a slight degree of hardening in the Mediterranean region and a wide (parts of central/northern/western Europe) area between Ireland and eastern Poland, due to the fact that this region experienced mostly warmer-than-usual daily temperatures since early December," they said. "Winter wheat only partially reached the hardening stage in some parts of Germany, the Czech Republic, Slovakia and in the Balkan Peninsula. The weakly hardened crops run the risk of incurring frost-kill damage in the event of a sudden freezing air intrusion accompanied by shallow snow cover. "Due to the dry autumn, the establishment of winter wheat was less than optimal in the northern and north-eastern parts of Ukraine, as well as in the Central Federal District and northern half of the Southern Federal District of Russia. 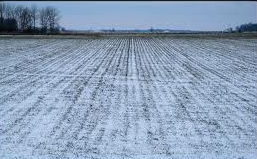 As a result, the emergence of winter wheat was problematic and the crop remained weaker and smaller than usual at the start of winter. 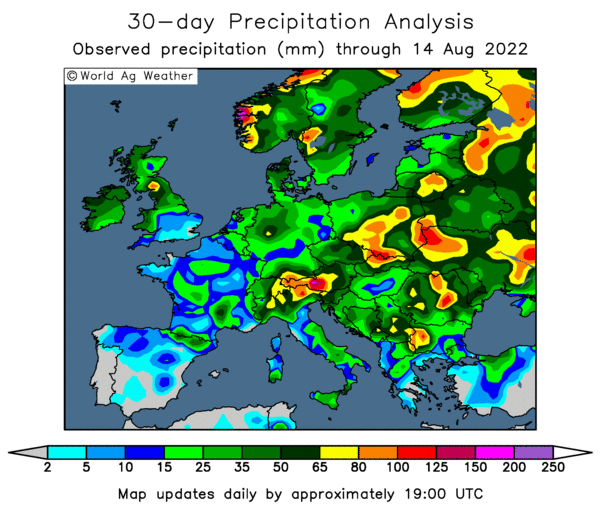 Model calculations indicate the occurrence of crop damages in southern Russia and parts of Bulgaria, Romania and Poland. "Considering the poor condition of winter wheat, it is probable that the north-eastern regions of Ukraine are also affected by frost kill, and that the actual damages are even more serious in Russia than the model results indicate. The shallow snow cover currently in Belarus, the western and central areas of Ukraine, and southern Russia, may lead to further frost-kill damages in the event of bitterly cold temperatures," they added. Meanwhile, an upsurge in fighting in Ukraine over the weekend has the rouble back under pressure today on talk of increased Western sanctions against Russia. There are also implications for grain production and exports out of the affected south eastern parts of Ukraine, now that the rebels have reached as far as the port of Mariupol. On the fundamental front, APK Inform said that Ukraine seaports had shipped out 529.9 TMT of grains last week, and are now majoring their efforts almost entirely on corn, which accounted for 455.7 TMT of that total (86%). The President of the Ukraine Grain Association said that export houses and the government were working on the text of the agreed "memorandum of understanding" reached between the two sides a couple of weeks ago. These are widely expected to cap wheat, particularly milling wheat, exports even though the Ukraine Food Minister said only a few days ago that there would be no limits set. Those figures imply that Russia exported around 500 TMT of grains for the week to Jan 21, taking exports for the first three weeks of the month to around 1 MMT. December's full month exports were in excess of 3 MMT, so there has certainly been a considerable drop off in pace this month. Russia's new wheat export duty kicks in at the weekend.